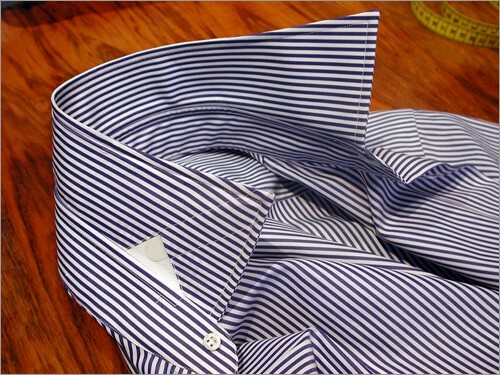 We produce exclusively fully fitting shirts tailor-made to your measurements, wishes and requirements, and we attach great importance to traditional craftsmanship. 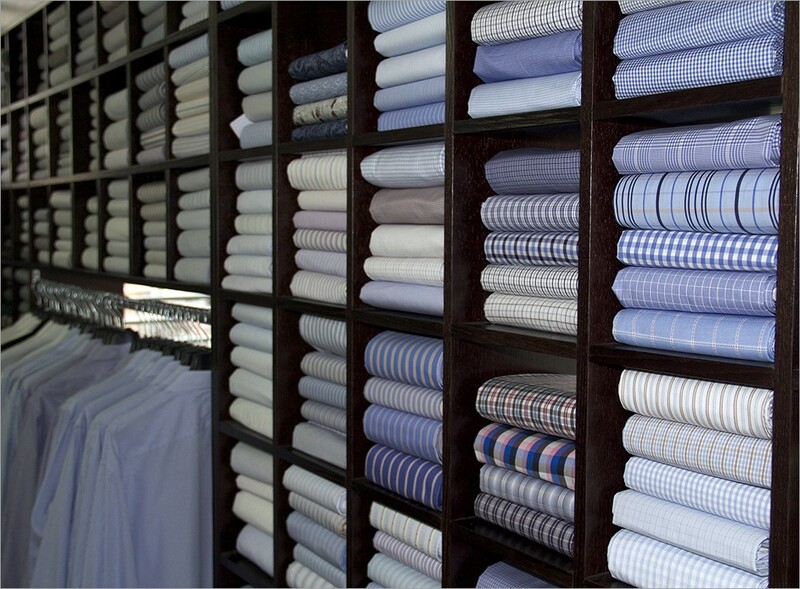 Whether you want your shirt to be slim fitting or looser and more casual – we guarantee that you will have an optimally fitting shirt in first-class quality. Our made to measure shirts always have a split yoke, a reinforced side-seam gusset, the hand-sewn genuine mother-of-pearl buttons as well as an open vent that can be buttoned. To enhance the comfort, the sleeves are still stitched on by hand as they used to be in the past. On request you can also receive a shirt constructed entirely by hand. For an appropriate additional price, the stitching of all the seams, the hems, the collar, the cuffs, the buttonholes, the upper-shoulder seam and the shoulder yoke will be done exclusively by hand. Hardly any manufacturer in the world is in a position to produce a shirt of this kind. You can choose from a variety of designs of collars and cuffs with varying degrees of stiffness. More than 1,000 exquisite cotton fabrics – in environmentally compatible oeko-tex quality – from fine two-ply cotton with 120, 140 or even 200 yarn through to Sea Island Cotton and even the rare Pima Cotton are available – a delight, even for connoisseurs. Our fast and reliable construction service takes three weeks, on request there is also an express service. When you make your first visit to have your measurements taken, to select your desired fabric and to work out all the details, you will need to plan about 30 minutes.